Designed and hand-built in Norfolk, one of our FSC® certified timber garden sheds was recently installed for a customer based in Birmingham, West Midlands. 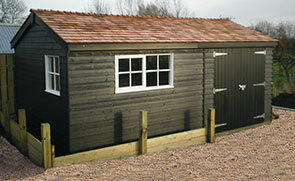 As with all of our buildings, the shed was both delivered and installed by our expert, in-house fitting team. 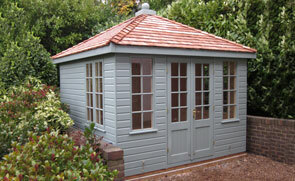 This charming Felbrigg shed from our National Trust collection is a traditional option for someone seeking a classical garden shed. 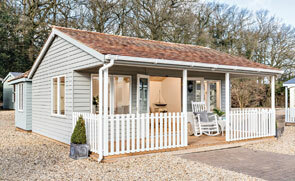 This one was recently installed for a customer based in Knowle, West Midlands. 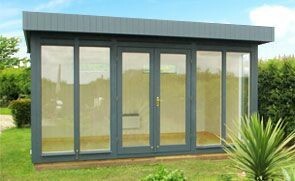 Measuring 1.8 x 3.0m, the shed has an apex roofplan covered with corrugated material and both a fixed window and door in the side.